Constructive structural design during construction works. (in cooperation with Eng. 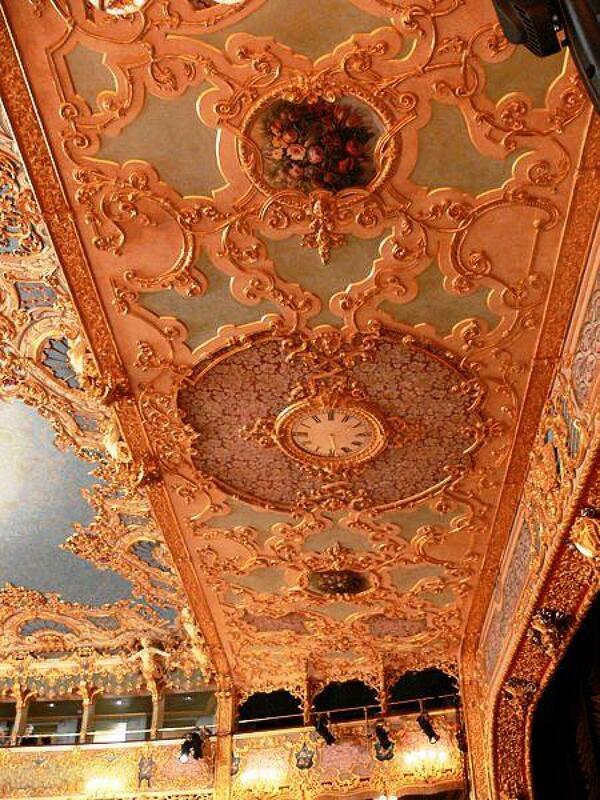 A. Gasparini and Eng. G. Serafini) Final and executive planning, as well as security coordination during planning step, for seismic adaptation intervention. Eng. Scotta Roberto in cooperation with Eng. A. Gasparini and Eng. G. Serafini – assignment by SACAIM S.p.A. Company. 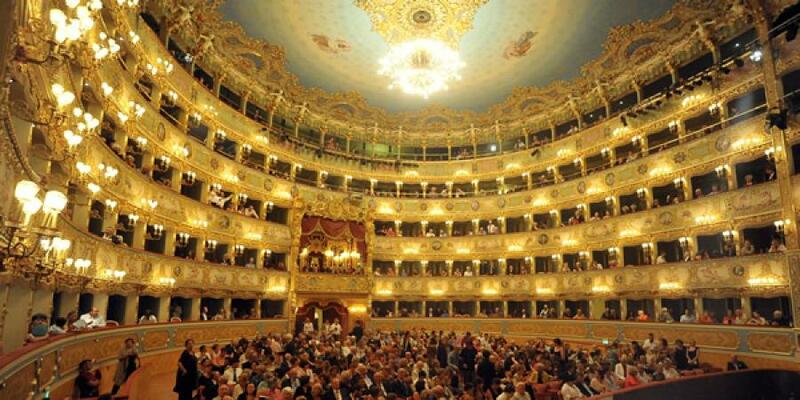 After the arson occurred on 1996, La Fenice theatre was completely re-built, based on the design of Arch. Aldo Rossi and the motto “the way and where it used to be” (exactly what it earlier happened to S. Marco bell tower). 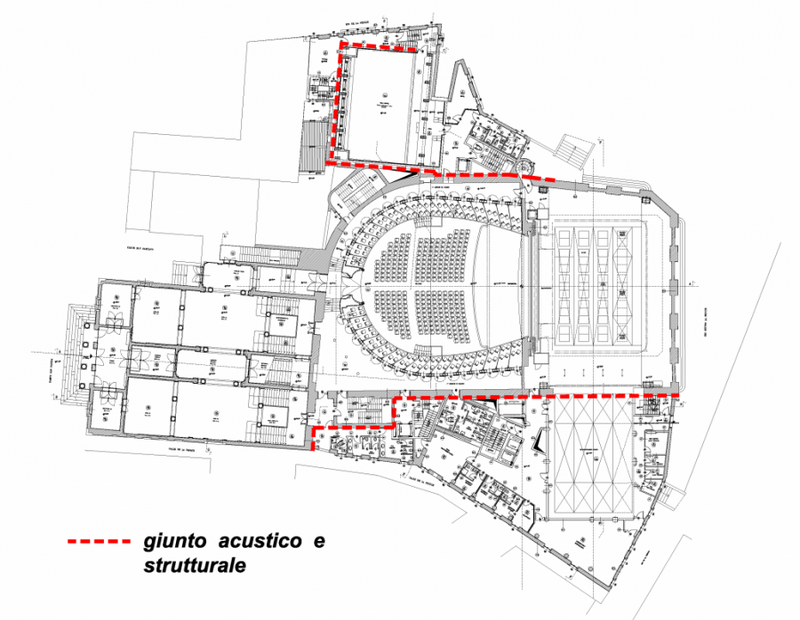 Before the works were over, but with completed structural works, we had the opportunity to supervise the seismic adaptation of structures, in compliance with new Italian seismic code. 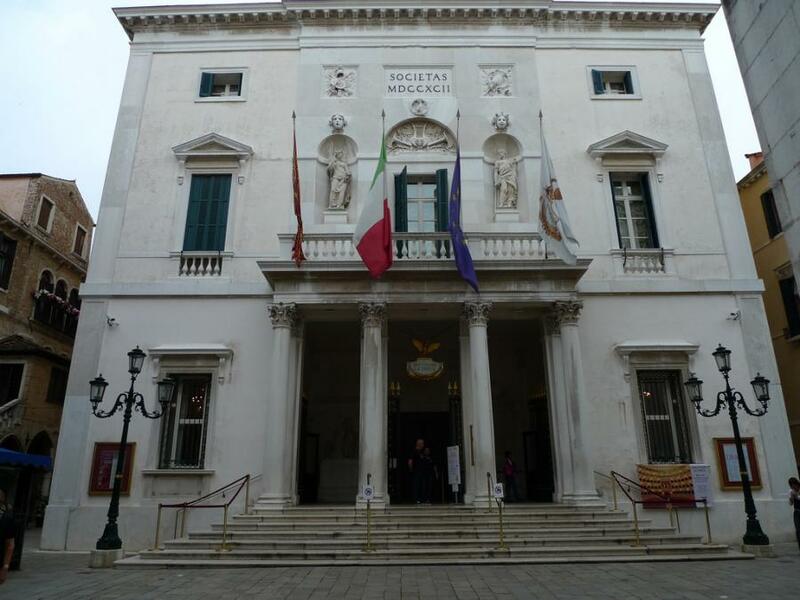 The reconstruction of the Fenice Theatre was a very improving job, where traditional techniques had to be used for the preservation of the historical building, together with modern technologies to fulfil the requirements of architectural and fire-safety design. For the seismic retrofitting of the building different materials and intervention techniques were adopted: we used carbon-fibre belts for pillars; we connected the stone wall parts, which were not properly toothed one another, with post-installed rebar connections with chemical resins, granting the seams of vertical elements; we inserted shock-transmitters and pasty bushings for absorbing the horizontal seismic forces acting on structures. 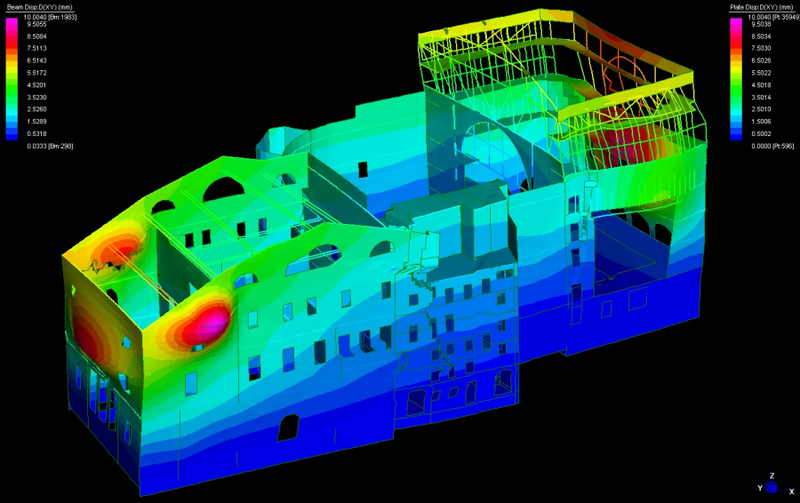 For the simulation of the complex seismic behaviour of the building a complete modelisation with finite element method was necessary.